S. P, S., Singh, N., Shukla, S., (India), E. (2017). Removal of Lead and Copper from Textile Wastewater using Egg Shells. 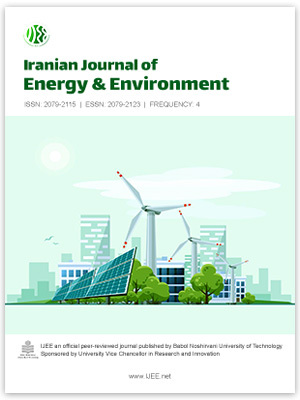 Iranian Journal of Energy and Environment; previously called: Iranica Journal of Energy & Environment, 8(3), -. S. S. P; N.B. Singh; S.P. Shukla; eya (India). "Removal of Lead and Copper from Textile Wastewater using Egg Shells". Iranian Journal of Energy and Environment; previously called: Iranica Journal of Energy & Environment, 8, 3, 2017, -. S. P, S., Singh, N., Shukla, S., (India), E. (2017). 'Removal of Lead and Copper from Textile Wastewater using Egg Shells', Iranian Journal of Energy and Environment; previously called: Iranica Journal of Energy & Environment, 8(3), pp. -. S. P, S., Singh, N., Shukla, S., (India), E. Removal of Lead and Copper from Textile Wastewater using Egg Shells. Iranian Journal of Energy and Environment; previously called: Iranica Journal of Energy & Environment, 2017; 8(3): -.